CAPPELLO - John Of West Seneca, NY. Entered into rest November 25, 2018. Beloved husband of Concetta (nee Conti) Cappello; devoted father of Alfred (Dana) Cappello, Franca (Samuel) Costa, and Anthony Cappello; cherished grandfather of Victoria Costa, John Cappello, Anthony Cappello, Samuel Costa, Matthew Cappello, Julia Costa, Cassandra Cappello, Nathanial Cappello, and Daniel Cappello; loving son of the late Alfio and Francesca Cappello; predeceased by three sisters and one brother. 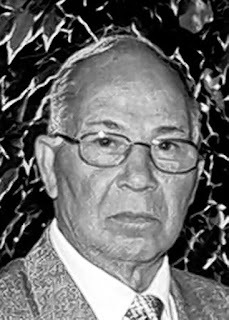 Relatives and friends may visit the LOMBARDO FUNERAL HOME (Southtowns Chapel), 3060 Abbott Rd., near Lake Ave., on Wednesday from 2-4 and 6-9 PM, where prayers will be said Thursday morning at 9 o'clock and a Mass of Christian Burial will be celebrated in SS. Peter and Paul Church at 10 o'clock. Entombment Lakeside Cemetery. In lieu of flowers, donations may be made to UNYTS of Buffalo.